Experience an unforgettable time on the majestic Futaleufu River, riding it’s turquoise water beneath towering snow-capped mountains and glaciers. 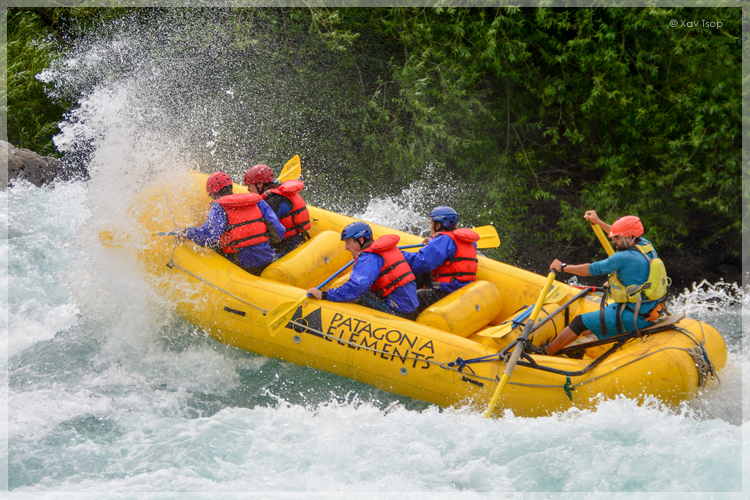 This is truly one of the great whitewater rivers in the world. It’s more than obvious that we want more adrenaline, so we’ll add class V rapids to the Bridge to Bridge Section beggining in the Azul River. 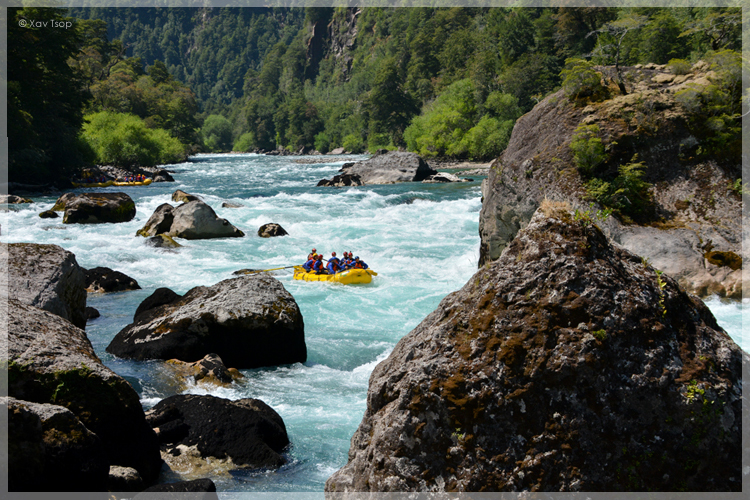 We paddle the famouse class V rapids on the Futaleufu “Terminator” and “Himalayas” and more. 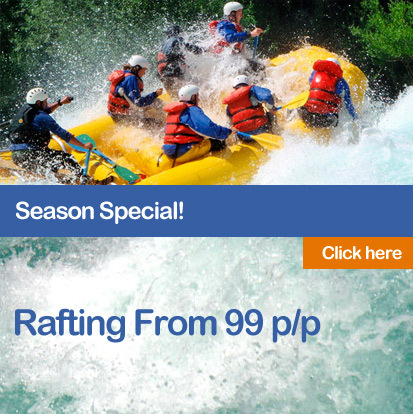 We guarantee that you will enjoy this section, its awesome rapids and its gorgeous surroundings. (Duration approximately 6 hours). 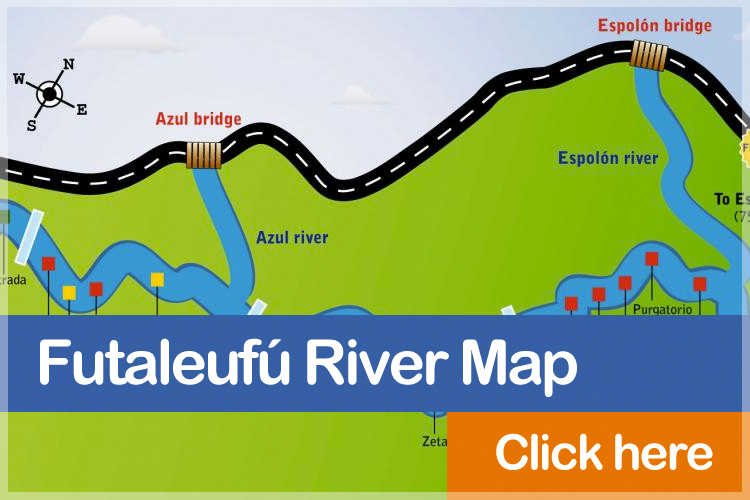 This section combines both the “Azul-Bridge” section, going farther down to the class 5 “Macal” section (left part of the river map). 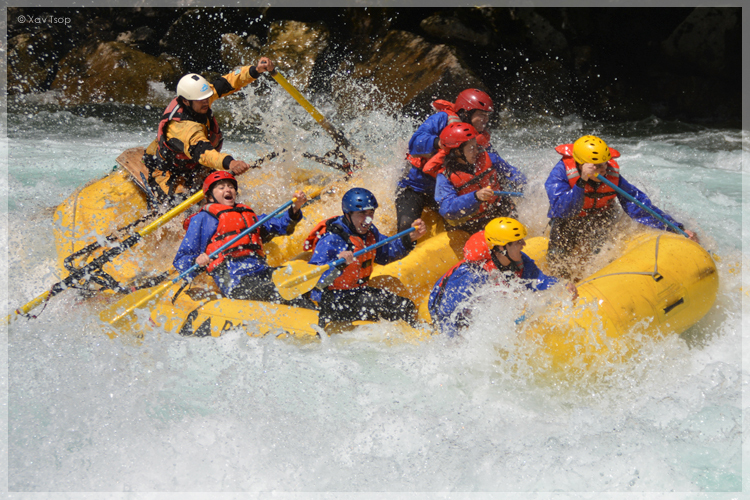 In terms of Challenging whitewater and breath taking scenery, this is perhaps the greatest day of whitewater rafting on Earth and includes four class 5 rapids and a dozen class 4. The seven hour run will include lunch in the middle. Participants should have previous whitewater experience before joining us on this trip or running the “Bridge to Bridge” section with us first. It depends on the trip, it will include snack or lunch.